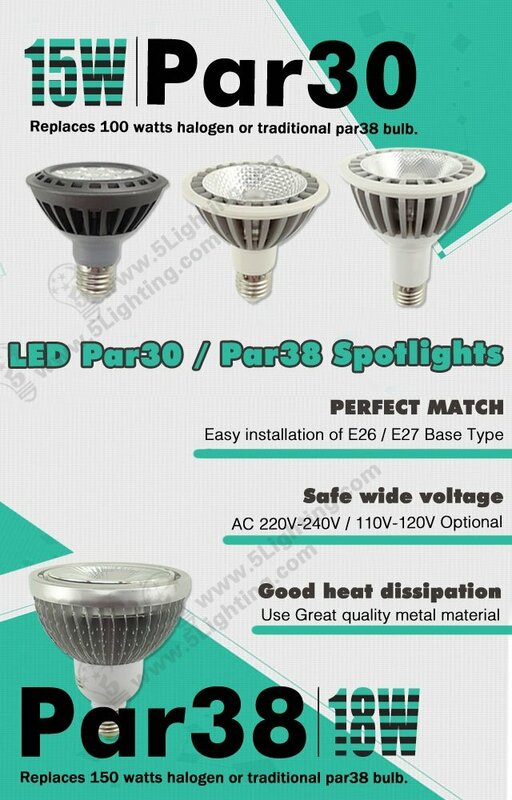 Par30 long neck 15w, LED par30 long neck bulb 15w. c): Our par30 led short neck 15w is energy saving with low power consumption, will be the best choice for 150 watts halogen or traditional par38 bulbs replacement. d): Easy installation of our great quality par30 long neck 15w adopts standard fitting E27 / E26 base type, compatible with existing fixture E26 / E27 fixation.